There are a lot of reasons why someone might be looking for space in a location for a short period of time. For example, a business person traveling for a conference like Collision Conference, needing an offsite office to conduct meetings. Or maybe a small baker who needs to produce a large number of products in a short time needing a bigger kitchen. Both of these situations, and a lot more, create a difficult situation for the searcher, as there has never been a good way to locate short-term spaces. That problem is thing of the past, thanks to GotSpot, a new platform for listing and finding short-term rentals on spaces. The concept is similar to Airbnb, except that the listings are for commercial spaces. For example, imagine you own a yoga studio, and you run classes 4 days per week. That means that your space is empty for 3 days per week. 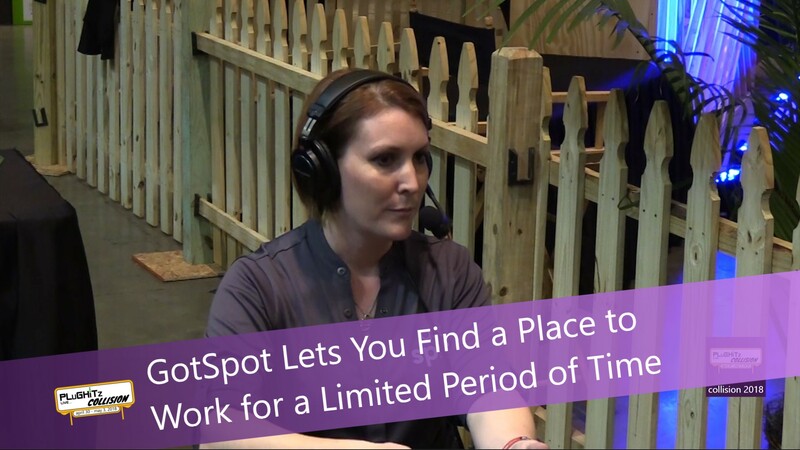 Rather than letting the space go to waste, you could list it on GotSpot for those 3 days and potentially generate some revenue from other yoga instructors who need a space for their classes. Another creative use of the platform is for art galleries. The gallery could rent space during down times to artists to allow them to shows their works. They could also rent space to other groups for more social events. For example, while we were at Collision, our hotel lobby converted itself into a local art studio to exhibit local artwork, as well as having cocktails and snacks, creating a fun atmosphere where we met some of the locals, as well as others staying at the hotel. Obviously, the platform also works well for more traditional spaces, such as offices and storefronts. Owners of empty office space or storefronts can use the platform to offer those spaces for short-terms. Offices can be useful for those traveling, while storefronts can benefit during seasons other than Halloween, from companies other than Spirit Halloween. GotSpot is currently available in a limited test in Houston, Texas, with plans to expand their reach into other cities over the coming months.